ALL-AROUND KITCHEN MIXER – The 300-watt Professional Stand Mixer is your perfect kitchen appliance for stirring, kneading, beating, whipping or mixing food ingredients. Make your own creamy dressings, baked goods, frosting, meringue and many more! 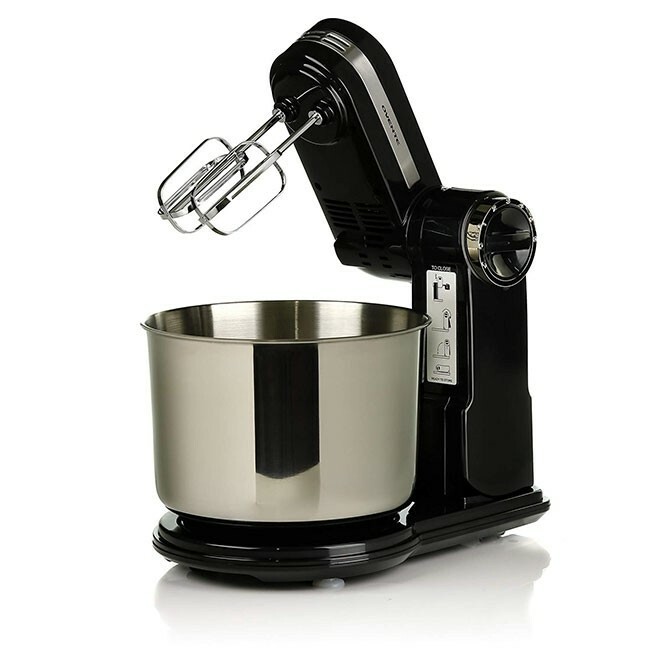 6 MIXING SPEEDS – You can choose the right velocity for your recipe by using the Stand Mixer’s speed control. Select from 6 different speed options to mix, whip, beat, or stir with even results. 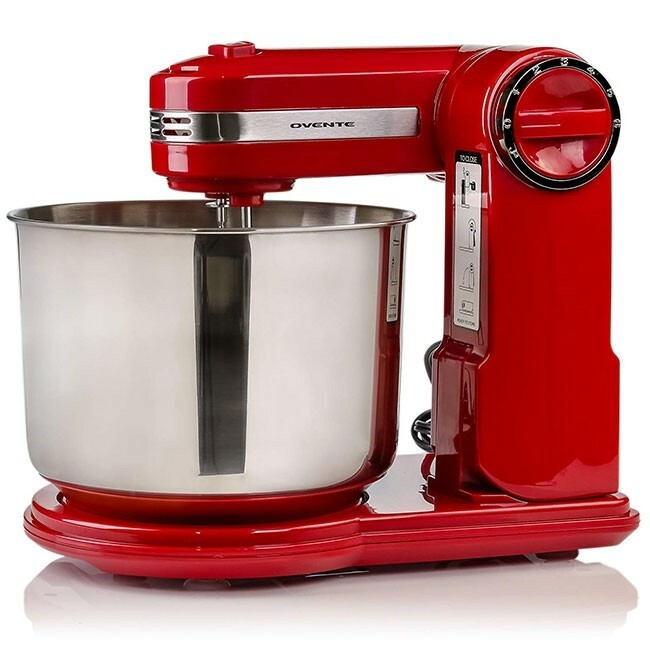 PACKED WITH ACCESSORIES – The Stand Mixer comes with a 3.7-quart stainless steel mixing bowl and rotating base that maximize cooking efficiency, beaters for preparing cake and cookie ingredients, and dough hooks for pastry mixes. EASY TO REMOVE – The head unit comprises attachment release button, which easily removes the beaters and dough hooks from the kitchen mixer sockets for a hassle-free cleaning and storing. COMPACT STORAGE – The Professional Stand Mixer fits underneath most kitchen counters and cabinets. It is perfect, even for apartments with a small kitchen or limited countertop space. Plus, the package contains a storage stand that can be used for storing attachments, such as beaters and dough hooks. Let your Stand Mixer stir, knead, or whip ingredients at any time of the day. A Stand Mixer is a kitchen appliance with a motor suitable for medium to heavy mixing. Unlike the portable hand mixer, a Stand Mixer holds the beaters and dough hooks for you, letting you prepare other dishes or do other tasks with your two hands while the appliance does all the mixing. Owning a Stand Mixer will give so much convenience to your daily life, not only because it does all the mixing, but also because it can mix quicker, even with a thick batter or dough. Whatever you do, you can always count on the Stand Mixer, your ultimate kitchen companion. 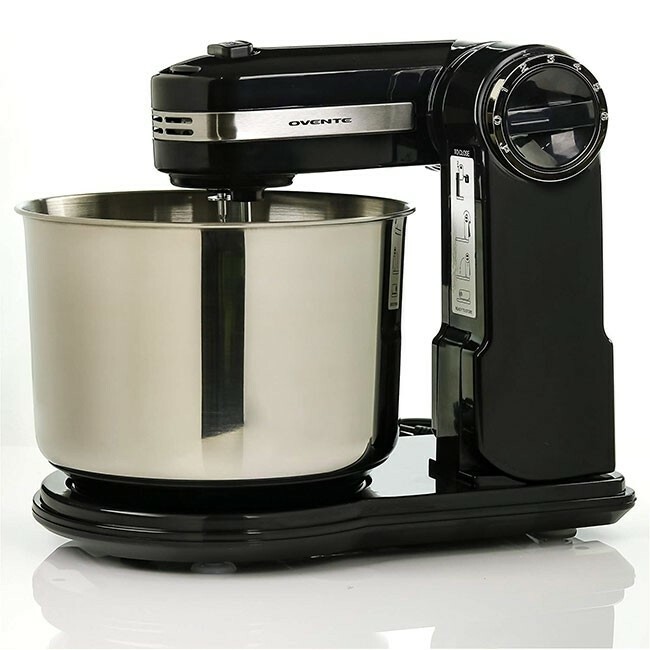 Make baking a cinch with Ovente Professional Stand Mixer! 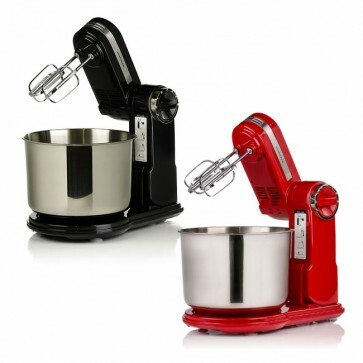 With Ovente Professional Stand Mixer, baking is made easier because of its exemplary features. The 300-watt Stand Mixer from Ovente is the perfect kitchen companion for stirring, beating, kneading or mixing ingredients. You can make your own creamy dressings, baked goods, frosting, meringue and many more in the comfort of your own home. You can also find the speed control setting attached to its body; select from 6 different speed options for best cooking results. 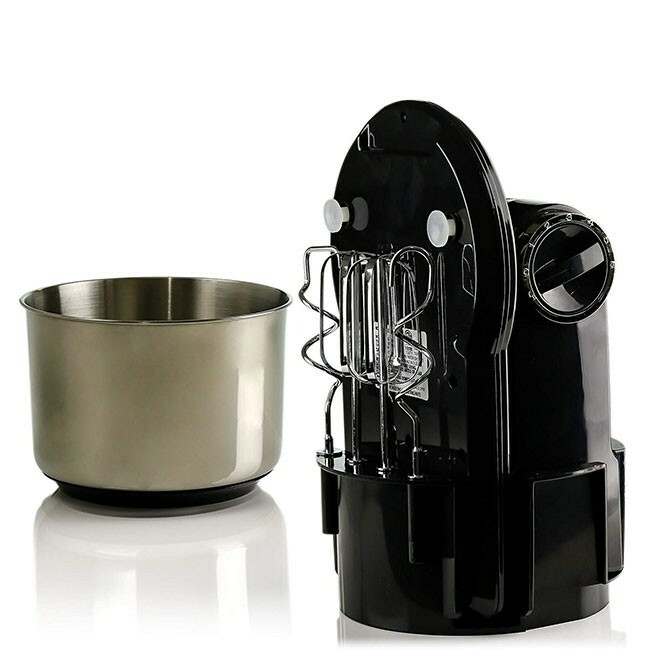 Aside from its main features, it comes with highly convenient attachments: 3.7 quart stainless steel mixing bowl and rotating base that maximize cooking efficiency, beaters for preparing cake and cookie ingredients, and dough hooks for pastry mixes. Removing the accessories is as easy as 1-2-3! 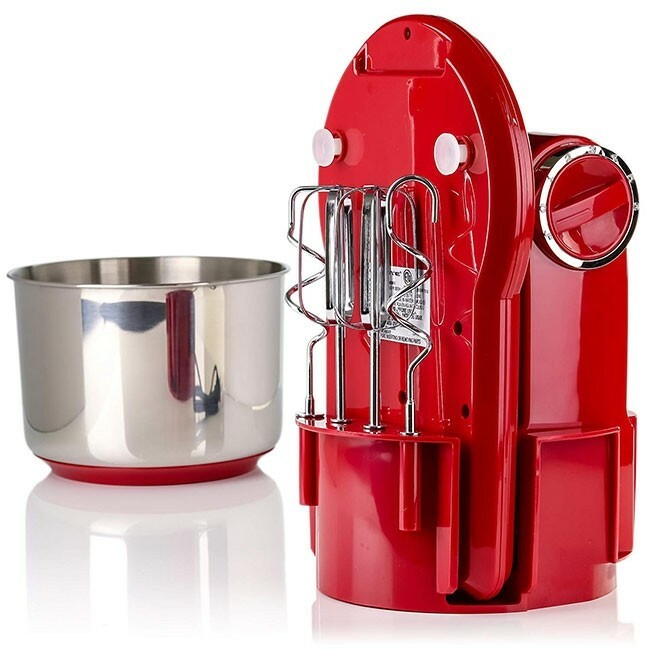 The Stand Mixer head consists of an attachment release button, which easily removes the beaters and dough hooks from the kitchen mixer sockets for a hassle-free cleaning and storing; plus, it contains a storage stand that can be used for storing beaters and dough hooks.